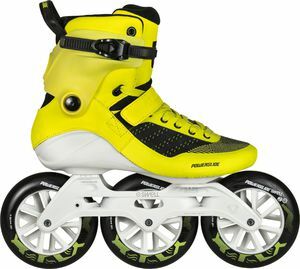 POWERSLIDE Swell technology combined with Trinity-Frame-Mounting - this means superior fitness skating experience! Powerslide SWELL FIREFLY 125. A bold new take on modern fitness skating. 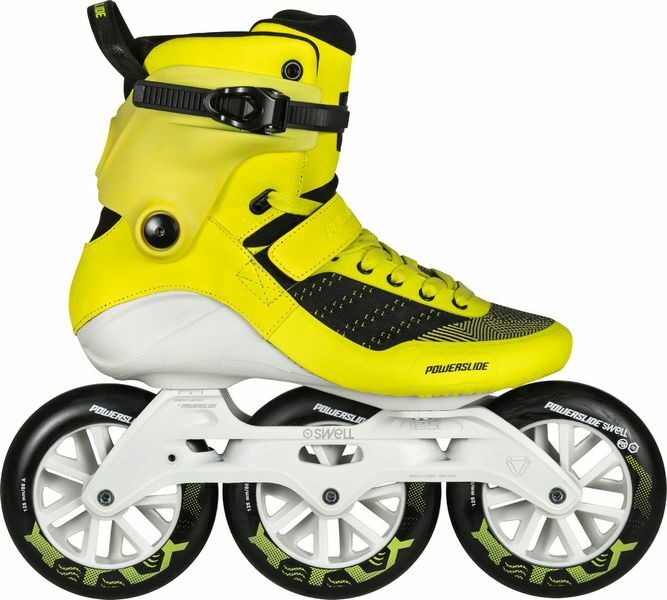 The Powerslide SWELL FIREFLY 125 is a revolutionary inline skate specially designed for intense fitness training. 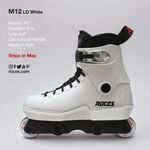 This skate features our anatomically shaped shell with flex cuts in the ankle area and RECALL fit with memory foam to provide superior comfort and maximum support. The new upper combines our stretchable and ventilated second-skin Powerknit upper with welded TPU reinforcements to increase responsiveness and stability. 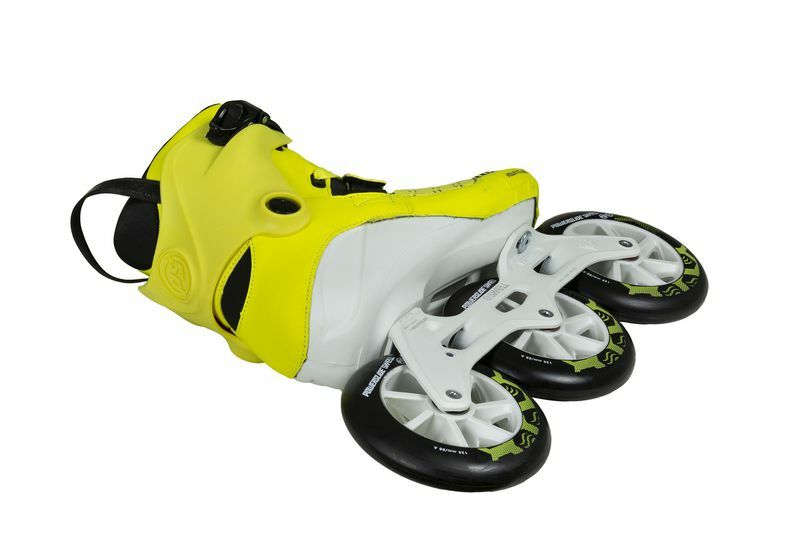 The highly abrasion resistant TPU material protects the toe and side panels against falls and wear and tear increasing the lifespan of the skates to endure even the most demanding trainings. TRINITY mount with 3 fixation points will help you reach new levels of performance. This skate features a light and strong Powerslide Elite 10.0" - 255mm aluminum casted frame, Powerslide Swell 125mm/83A bullet profile wheels and Wicked ABEC 9 bearings. The new ratchet top buckle with micro adjustments allows for an easier and more secure cuff lock while reducing weight and giving a more sportive look to the skate. A Height Adjustable Brake System (HABS brake) is included in the box. 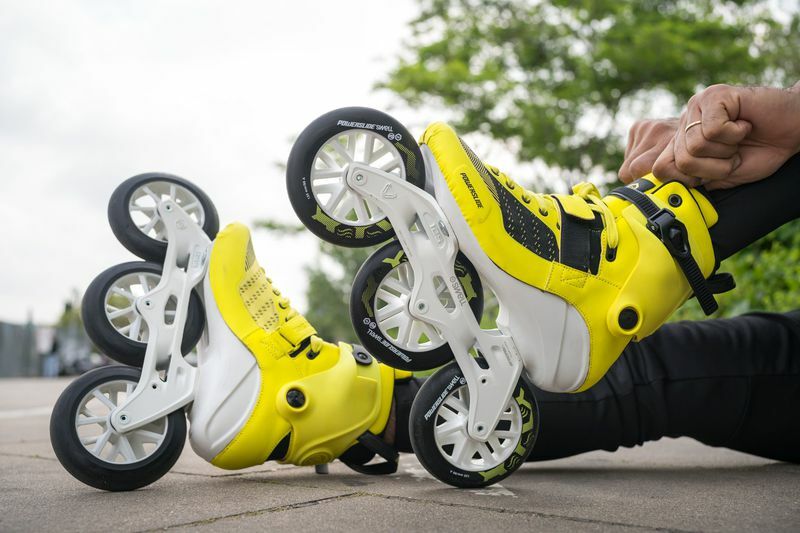 Extra MYFIT skatesole and MYFIT Archsupport are included for fit customization and people with ´problematic feet´.